Arriving back to London after an amazing long weekend in Mykonos with Louis Vuitton has been truly depressing as since the moment we arrived in the greek island we felt a hot wave of heat and immediately loved it. White houses and the blue sea.. all to be topped up with amazing food! What else could I ask for? We headed for a little walk around town and here are some snaps of the first day out. 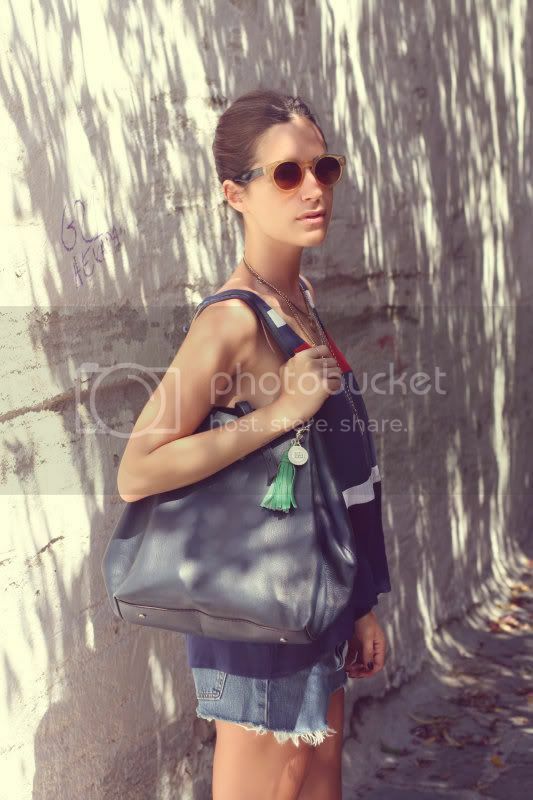 Wearing Levi’s shorts, River Island shoes, Top Shop sunnies, Toi et Moi shirt and Gloria Ortiz handbag. Regresar a Londres después de un increíble fin de semana en Mykonos con Louis Vuitton ha sido realmente deprimente ya que desde el primer momento en el que aterrizamos una ola de calor nos recibio con los brazos abiertos. Preciosas casitas blancas, un mar super azul y una comida deliciosa nos esperaba durante los proximos cuatro dias…Un autentico paraiso! Para mi primer dia explorando la isla lleve shorts de Levi’s, camiseta de Moi et Toi, gafas de TopShop y bolsa de Gloria Ortiz. que bonito, se parece la primera foto a Antequera(malaga). ooh that place looks incredible. and nice casual outfit. Sounds like heaven on earth and then t arrive back to cold UK no wonder you’re depressed! Preciosa. Me encantan las gafas de sol. must be very special culturally speaking. which cute little hotel would you recommend? STUNNING! I wish I was theeeerrrrreee rather than heeerrreee!!!! waaaah! Amazing pictures! You look simply chic! La tercera foto me hace recordar mucho a Grecia! Great shots! 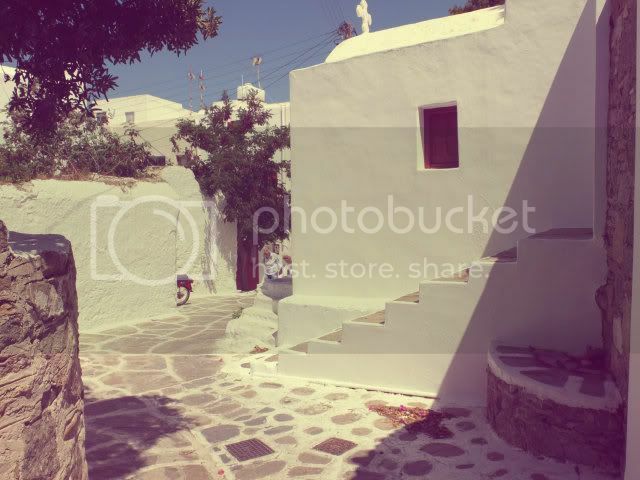 Love your style and your pictures of Mykonos island are amazing!!! Thank you for promoting Greece!!! 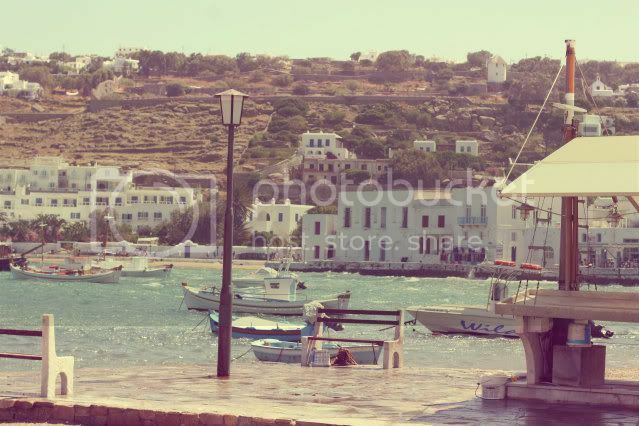 summer in Greece, I want it! Hoy en “El Rincón de B” Tacones de madera, qué te parecen?? espero tu respuesta. Que guapa estas y que bonita la zona! Qué bonita isla , tengo unos recuerdos maravillosos . en las fotos se respira olor a mar, que gusto! Beautiful photos. Love your tank. When I first saw this picture, this outfit and you, suddenly I fell in love with the simpleness and beauty! Hello. I think it’s better blog as i saw. Today is very important to have and read realy usefull information and topics. Thanks.